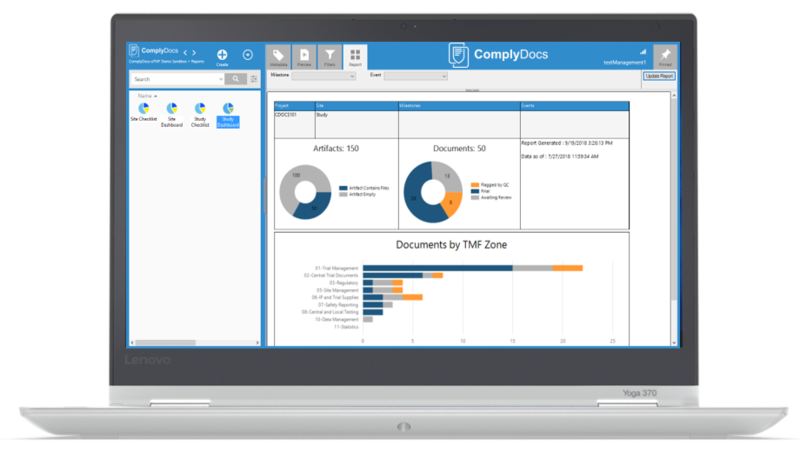 ComplyDocs eTMF provides a set of features that allows for real-time management of your Trial documents; ensuring compliance and audit readiness. At the end of the trial, the approved and fully documented eTMF can be exported to easily integrate into your submission software. 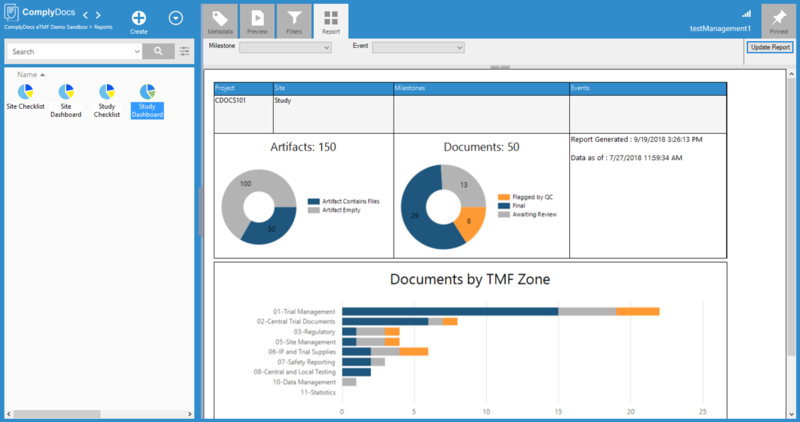 Gain real-time insight into the health of your TMF with simple, easy-to-navigate reports. 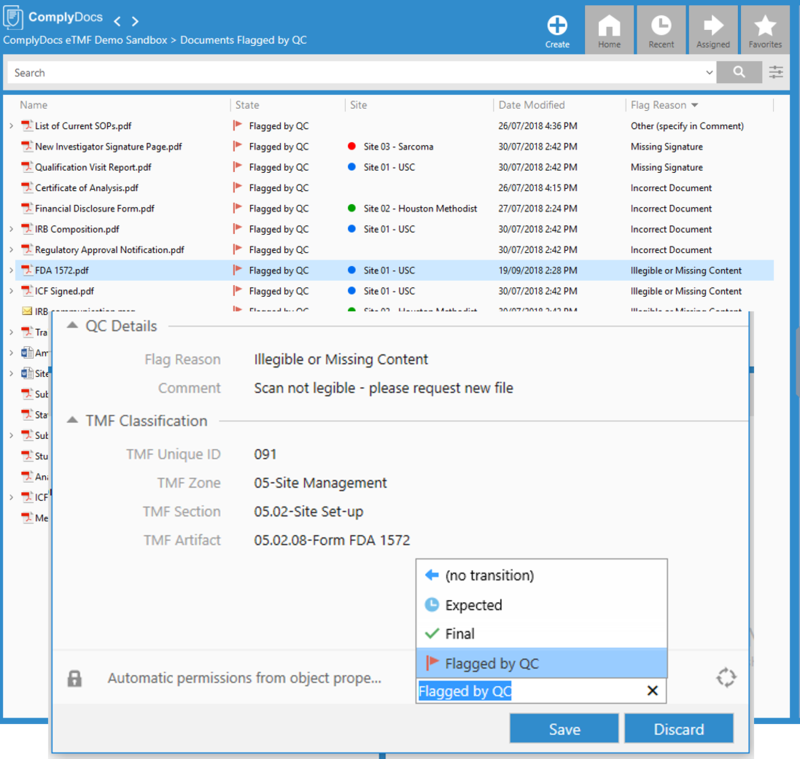 Flexible access and management of TMF content in a secure, compliant environment. ComplyDocs eTMF is equipped with advanced searching and viewing features which ensures that every document can be retrieved quickly. ComplyDocs eTMF provides one simple interface for uploading, classifying, and tagging documents – no need to navigate complex menus and subfolders. 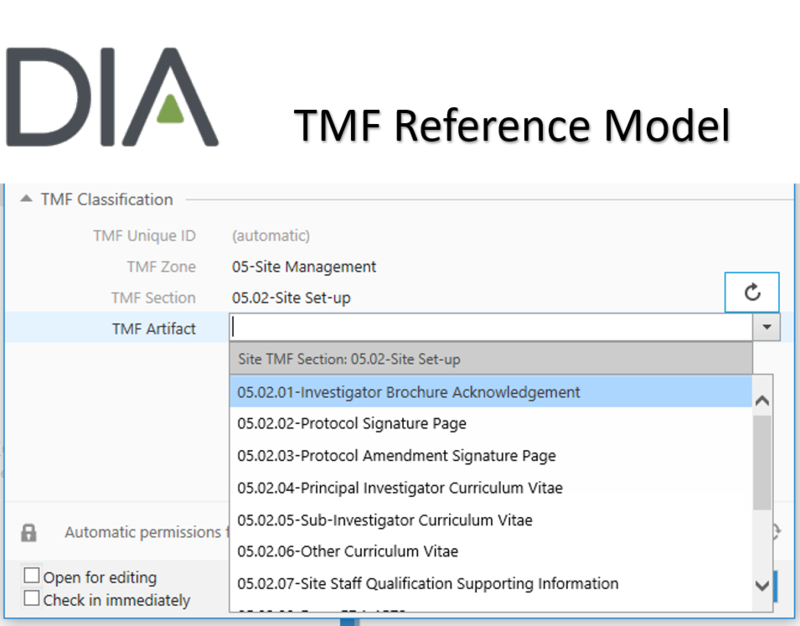 ComplyDocs eTMF has built-in support for the DIA TMF Reference Model for identifying and classifying trial documents. 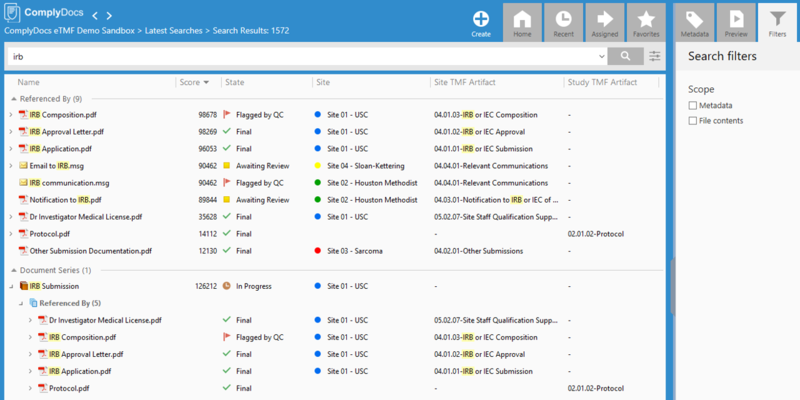 It provides a standard set of categories and metadata to effectively manage all TMF content. 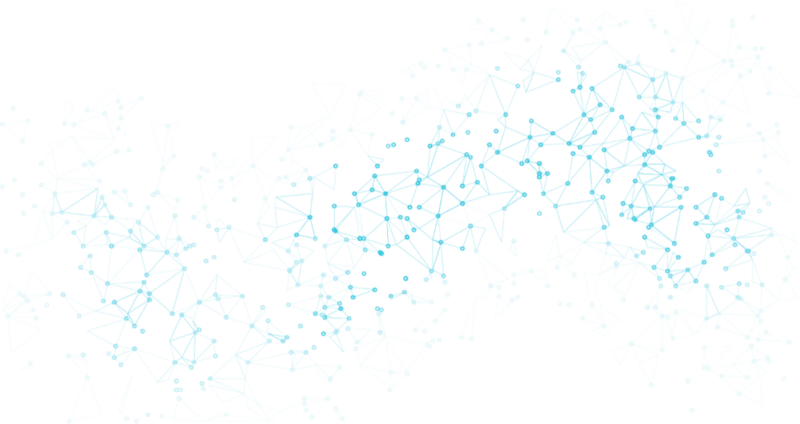 With widespread adoption by many Sponsors and CROs across the industry, using this common language for organizing documents simplifies processes such as trial set-up, filing essential content, file exchanges or transfers, archiving, and audits.